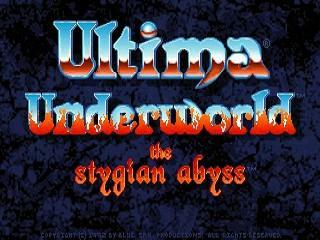 Released in 1992, Ultima Underworld: The Stygian Abyss is a first person RPG. Assuming the role of the Avatar, you attempt to find and rescue a baron's kidnapped daughter in a large, multi-level dungeon, before having to prevent a demon from taking over the world. The game is rather realistic, with players required to eat and rest, light sources can burn out and torches may be used on corn to create popcorn. Best time: Single-segment 0:16:37 by 'Nin' on 2015-01-11.